This webpage is focused on unlawful termination settlement amounts in the state of North Dakota. It is actually uncommon for good claims to go to court, because they usually reach settlement out of court. Many of these litigation cases have mixed verdicts, implying that they involved a single, or perhaps a number of claims of wrongful termination attributable to gender discrimination, firing in violation of public policy, race, color, national origin, religion discrimination, pregnancy, disability, sexual orientation, gender expression or gender identity discrimination, breach of employment contract, whistleblower, constructive discharge or age discrimination. The table directly below provides an overview of the various types of claims filed as well as their respective quantities in the state of ND in 2017. The population of ND is very small, less than 1 million people live in the state. It is the 47th smallest state in terms of population. As we can see from the statistical table above, North Dakota also has a very low number of wrongful termination and employment discrimination. Evan Berg worked for the Dakota Boys Ranch (now called Dakota Boys and Girls Ranch), which is a residential treatment and educational center for children and their families. He claimed that he was fired in retaliation for reporting suspected child abuse, which violates the North Dakota Century Code. He sued the company for wrongful termination in violation of public policy, even though he was made to sign a release when he was fired in exchange for his last wages and unused vacation time. Trinity Health operates Trinity Hospital in Minot, North Dakota. One of it’s nurses became pregnant, and her doctor ordered a lifting restriction due to a pregnancy related health condition. The nurse requested that she be assigned light duty work, since other nurses injured on the job were provided light duty positions as well. Instead of accommodating her request, the hospital fired her. This constitutes wrongful discharge, since it violates the Pregnancy Act and the ADA. The EEOC sued the employer on the nurse’s behalf for pregnancy and disability discrimination. The EEOC sued the owners of an Applebee’s restaurant in Bismarck for sexual harassment and retaliation, after receiving reports by 5 women who worked there. They alleged that former Bismarck South Applebee’s General Manager Mike Cordova regularly harassed female workers sexually through soliciting sexual relations, exposing himself, and saying groping them. The women complained about the actions of the restaurant manager to the owners, but nothing was done to stop the harassment. The women who complained were retaliated against through demotion and termination. Jennifer Gerard worked for Keller Paving and Lanscaping, a company operating in Minot, ND. She was a truck driver, and because of this, she was the subject of sexual harassment by several male colleagues. She was constantly told that she belonged at home instead of the truck, was solicited for sexual favors, and was groped. She complained to the manager and to the owners of the company, but they did not follow up on her complaint and the harassment continued. EEOC v American Casing & Equipment, Inc.
Matthew Clark is a Filipino-American. He worked for American Casing & Equipment (an oilfield service company) in Williston, ND. In his report filed to the EEOC, he alleged that a manager started harassing him because of his nationality shortly after he started working at the company. He would be called racially offensive names, and was even urinated on by the manager. Clark complained about what was happening to the company’s safety manager, but was fired in retaliation. Strad Oilfield Services is an energy services company in Minot, ND. The EEOC sued the company on behalf of an employee who was fired after the company learned that the worker had diabetes. The health condition of the worker did not affect his performance. He was cleared to work after completing a fitness-for-duty test as well. When viewing our catalog of unlawful firing verdicts from North Dakota, do not forget that the larger amounts of money are the result of punitive damages. Punitive damages are rewarded to discourage businesses from carrying out the same sort of unlawful act. Punitive compensation is relatively infrequent. A large number of claims settle for about fifty thousand to a couple of hundred thousand dollars. This unique report on wrongful firing settlements in ND was created for informational purposes. Despite the fact that you feel similarity to any of these circumstances, do not forget that each and every single case is unique. What is the average wrongful termination settlement in North Dakota? If you feel that you were wrongfully terminated, it’s understandable that you want to find out how much money you are likely to receive for your wrongful termination case. If you come to an agreement with the company, the figure you acquire is primarily based upon the following: reason of termination, benefits lost, medical costs, costs of finding a new job, mental anguish and lost wages. Punitive damages could also be granted in rare situations, in the event the workplace behaved egregiously. As can be seen from the example claims mentioned above, providing a typical settlement for wrongful discharge cases in ND is difficult because each case is unique. 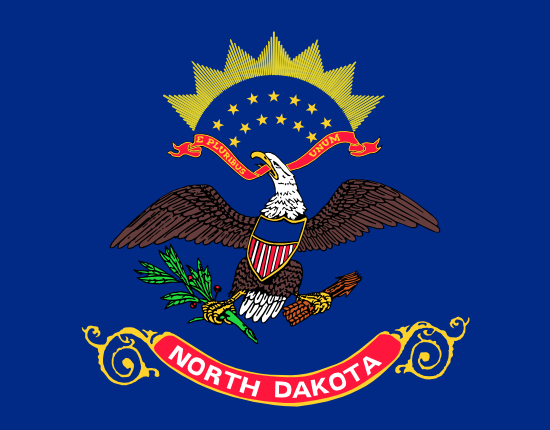 The average wrongful termination settlement in North Dakota is between $4,000 – $100,000. Legal professionals are definitely beneficial while brokering a higher settlement. The majority of jury awards are bigger, anywhere between $100,000 and $450,000. This is one of the reasons employers choose to settle out of court. If you think maybe you were discharged for an unlawful reason, this is what you should do. To start, it is important to speak to a wrongful termination attorney in North Dakota to ascertain whether there is a case worth pursuing. Do not put it off, since there can be deadlines for submitting unlawful termination claims in North Dakota. Next, you are going to most likely need to file a timely claim with the North Dakota Department of Labor and Human Rights. Here are the steps you’ll want to take to file a wrongful termination claim.